February 09, 2018 / LBD "Nytetrayn"
You might recall that one of our earliest inklings that there would be a new Mega Man title announced for the franchise's 30th anniversary was the design art that was stated to be for an upcoming Nendoroid figure. Well, good news! That figure is now available for pre-order, and while we don't yet know precisely when Mega Man 11 is coming out, we do know that this figure is scheduled to ship in August, meaning there's a chance you might even be able to have it before the game! 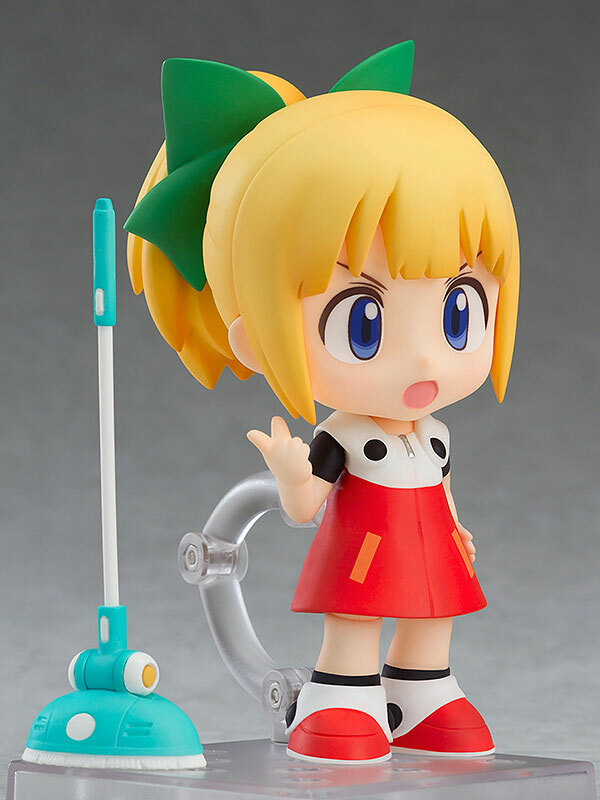 As you can see in the above pictures, Nendoroid Roll comes with three different faces ("standard," "upset," and "proud smiling"), plus a Nendoroid-styled Rush (based on the design from Mega Man 11, however similar or different they may be), a metallic E-Tank, and a cleaning device that looks like some sort of robo-Swiffer. 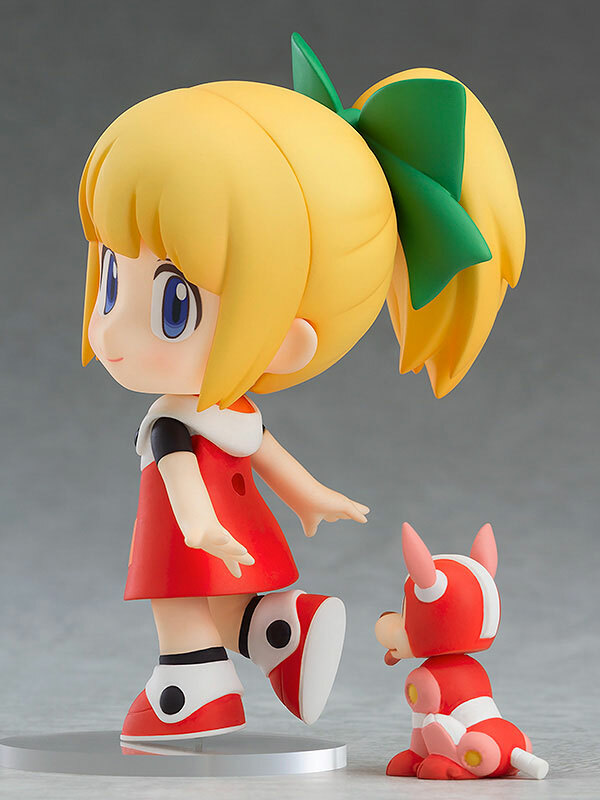 The list price for this figure is 4,800 JPY (approximately $44.11 USD as of this writing), but Japanese online retailer AmiAmi is offering a 17 percent discount, bringing it down to 3,980 JPY (approximately $36.58 USD). Play-Asia also has the figure for $53.55 CAD (approximately $42.54) with a pre-order deadline of March 1st, and BigBadToyStore is offering it for $49.99 USD, but with an estimated arrival time of September. Or, if you'd rather just go straight to the source, the Good Smile Online Shop has it at list price, but pre-orders have to be made by March 7th. They also have a listing of partner shops around the world, if none of these tickle your fancy. Thanks to Anonymous for the tip!